In 2013 was produced boat Mahe 36 named Happy Eva. This vessel is available from port Phuket in the area of Phuket in Thailand. 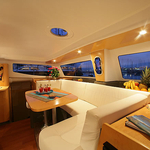 You can board up to 6 pax on the sailing boat Happy Eva. Configuration of berths is 6. There are 3 bedrooms placed below boat's deck. 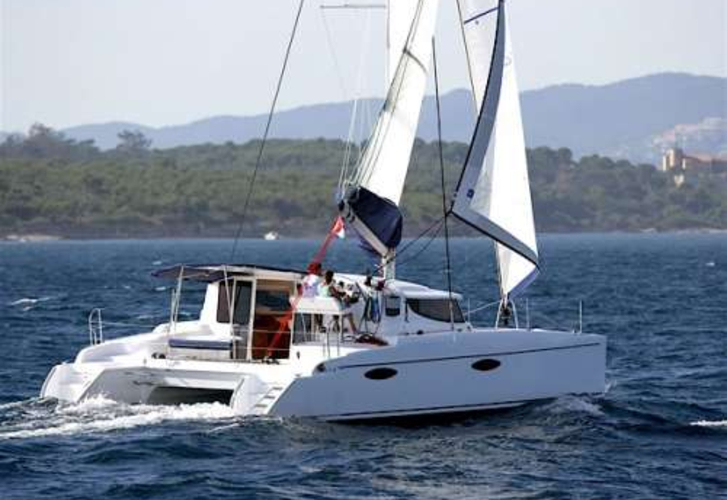 Click for other vessels under the link: Catamarans Phuket. Mahe 36 Happy Eva is equipped with: Towels, Barbecue, Bed linen, Autopilot, Mainsail with lazy jack, Bimini top, Radio / cd player, Dinghy, Anchor electric windlass, Inverter 12v-220v, Plotter gps in cockpit, Outboard engine, Solar panels. . Caution is 3000.00 EUR. 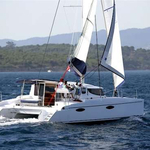 Use our search engine to find more search results by opening this link here: Catamarans Phuket.